Following on from CCP’s fashion of telling stories from #WhenIStartedEve I felt like I’d start off here with my own, albeit brief, story. I downloaded Eve back in 2012 thanks to a suggestion from my friend at the time. He told me all about how scary and desolate wormhole space was, about how he solo’d five people at once with his mighty Vexor cruiser, and how we could build a corporate empire. Without doing even a little research I dove right in to join him. What happened next was that I spent quite literally my entire Eve career of 2-3 months building up to fly a Drake (it looked cool!) so I could do level 3 missions. I could write pages and pages about my ramshackle fits and how I didn’t realise that trade hubs were a thing; the long and the short of it though is that I quit after just a few months, dreadfully bored. It wasn’t until 2014 that I actually returned to New Eden, but with a plan in mind this time. I made my way into a C2 wormhole corp called Operation Wormbear. After a year or so I moved on to Lazerhawks only to fly Lokis all day every day. Leaving Hawks after another year, I somehow befriended Gallente Militia’s Villore Accords and ran their AT team in 2016 and 2017. Conveniently, this was also how I met Niden and bumbled through a pretty poor first draft for the state of wormholes in 2016. Needless to say, that never got released. Nowadays I run my own C5 corp and am still hated by the remnants of Wormbear, oh well. So given my history, I’m not sure if anyone would say I’m the best person to comment on Fanfest 2018. 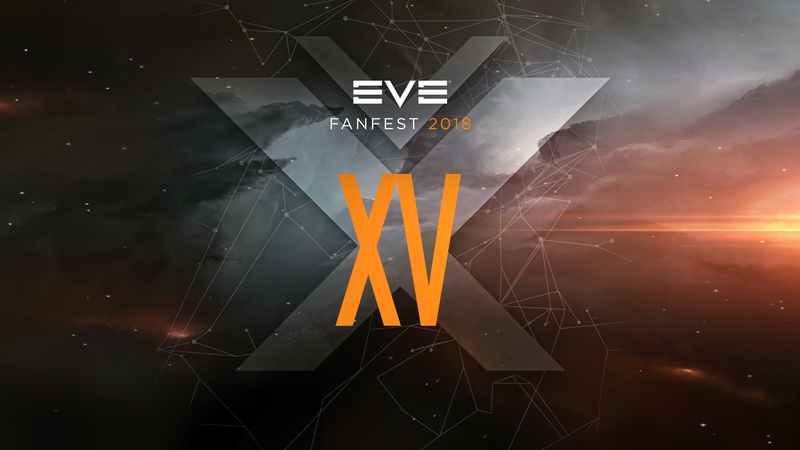 It was, however, my first fanfest and that makes me at least a little more objective on the releases themselves, probably with commentary on how it affects wormhole space; that’s just what I do though! Starting off with what you could probably say is the star of the show is Eve’s next expansion: Into the Abyss. If you’ve been living under a rock (or in an abyssal deadspace pocket… ha) then I’ll explain here the major features in this May 29th release. 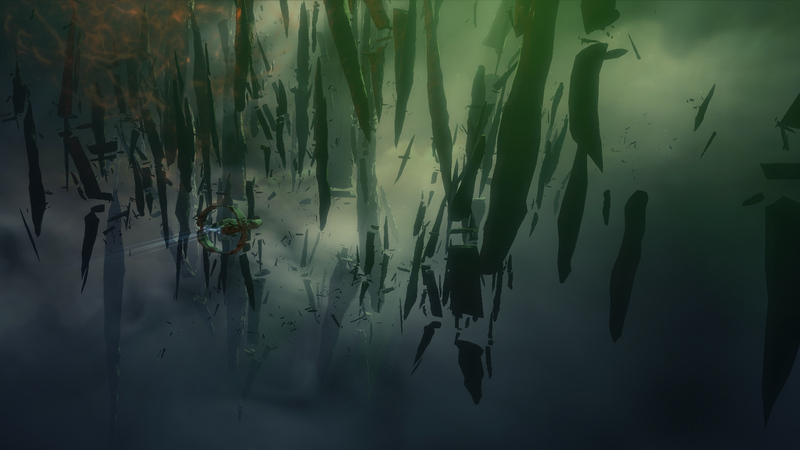 Into the Abyss centres around what is essentially a new type of space of instanced, solo PvE which scales to the player. It’s called Abyssal Deadspace, you could describe it as an amalgamation of current wormhole space and deadspace mission pockets with the difficulty cranked up. It will be accessible by using Filaments, found on the market and in relic sites, which will instantly transport your ship there for a limited amount of time. These deadspace pockets will leave behind a beacon where people can await your return (to gank you, that is) and are only accessible to T1 and T2 cruisers. Once inside, you will have to traverse three individual pockets of procedurally generated mission terrain. You’ll be facing up against Triglavian (more on them later) AI supported by Rogue Drones, and Drifters (including a new Drifter cruiser) supported by Sleepers. 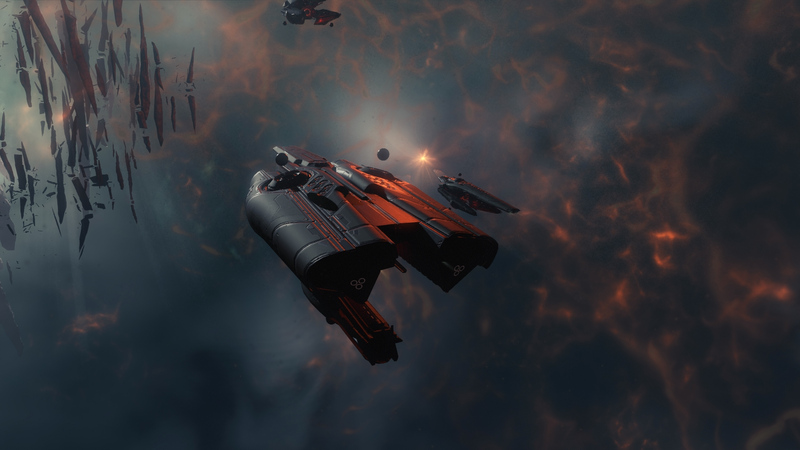 Not every faction will be present all the time, but if they are then CCP has mentioned being able to play them off one another and using your surroundings to your advantage. An example of this given was the use of a structure called a Deviant Automata Suppressor which, when controlled by the player, will chew threw both missiles and hostile drones for you. On top of gameplay effects, Abyssal Deadspace features three updated collections of graphical assets. They’re defined in the presentation as: scaled up asteroids (larger than Keepstars! ), a crystalline set, and “super nice pillars” to quote CCP Burger. In addition to brand new skyboxes and an updated camera FOV inside this space, it’s shaping up to be a really pretty, if spooky, place. You’ll find some of those screenshots dotted around the article, ones which CCP proudly presented front and centre instead of cinematic art. Perhaps more interesting than graphics, though, are the actual rewards that we’ll be receiving from completing these instances. I’ll cover these in the next section on ships, modules and “things that make r/eve very angry”. To clear up a few frequently asked questions though…. Rewards are: More filaments for deeper levels of space, Abyssal technology modifiers (Multiplasmids), Skills and Blueprints for Precursor equipment. Straying too far from a site will crush your ship like PL boundary violating in the AT, so will staying too long and not completing the instance. Time limit is looking like 20 minutes right now. There will be no warping or cloaking and you must finish the site to return home. You can access Abyssal Deadspace from high/low/null AND wormholes. Almost all cruisers will have access, just not T3Cs. You cannot deploy a mobile depot once inside. There are 5 levels of depth, each needing better equipment to take on than the last. Speculatively expect deeper sites to have difficulty similar to C3 wormhole combat sites. The Drifter faction present here will not doomsday, but might occasionally have an overshield. Oh boy this is an exciting one. Most of the juicy theorycrafting content for Into The Abyss came from the Ships and Modules presentation by CCP Rise. It was also at this point which reddit erupted into a fun mixture of excitement and anger. Front and centre in the presentation this time are the new Triglavian ships arriving in New Eden. These are the futuristic triangular ships with orbs in the centre that you might have seen already. They come in three flavours of frigate, cruiser and battleship; that’s the Demavik, Vedmak and Leshak respectively. Each is governed by a Precursor ship skill and the Precursor weapons systems. 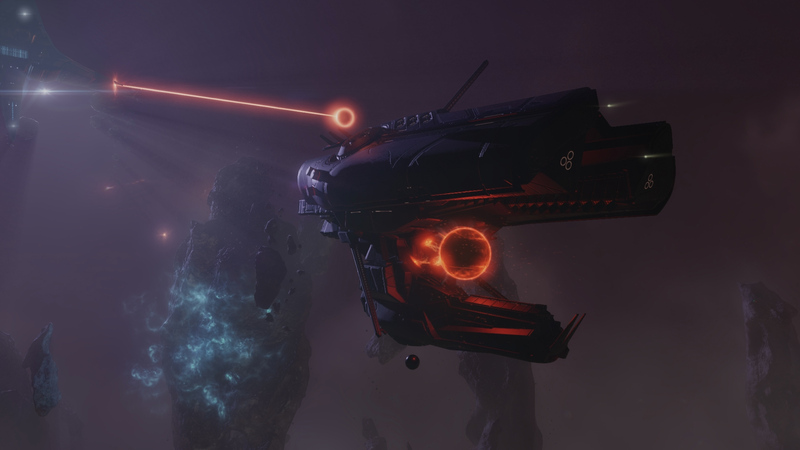 The big game-changer of the Triglavian ships is their ability to fit a new weapon system, the Entropic Disintegrator. These disintegrators are a turret-based weapon which will build up thermal/explosive damage per cycle until hitting a cap where they’re doing roughly 50% more than the initial shot. They also look to be one of the heaviest damage dealers in the game; in CCP’s words, they will produce some of the highest subcap DPS about, just not as much as say a polarised blaster battleship. The catch is that they have absolutely no falloff. Once your target runs out of range, the weapon will shut off and you’re going to have to start charging your damage up again. The consolation here is that laser crystal style ammo will be available for them, letting you swap instantly for longer range at the cost of damage potential. The other interesting thing about these entropic disintegrator turrets is that they only use up a single high slot to pump out all that damage. The rest of your highs can be used for utility modules similar to how drone ships are often used currently. Making that even more tempting is the fact that Triglavian ships will be bonused towards utility slot efficiency. It’s going to be such that you see cap usage and general efficiency improvements rather than straight up “power” like with Vigilant webs. Taking this approach is quite interesting if I’m honest, especially in small gang engagements. You’ll be able to run a very effective RR gang, have more widespread neutral pressure or even a massive smartbomb firewall. I personally can’t wait until a Pyfa release where I can start playing with cap life numbers and seeing what’s really viable. From what has already come out from hoboleaks and on SISI, though, we can get a flavour of what’s to come even if the numbers aren’t final. Speaking of cap life, though, that’s going to be a major theme of using these ships. With their limited mid-slots and absolute requirement to keep targets right up close, it definitely opens up clear ways to counter them that aren’t just n+1. Take bumping for example. Disrupting that beam weapon for just a second will drop DPS by 50% for a whole minute without resorting to neuting them out. Even simpler is that once you know the hostile fleet is using them, stacking resists correctly will give you an edge; a tactic already used occasionally against blaster comps. You could say these were almost the highlight of the entire event. These Multiplasmid items serve a similar role to that of Vaal orbs in Path of Exile for example. They permanently modify/corrupt 4-5 of a ship module’s attributes within a range using anything from T1 to Officer as the base. At the time of writing they could for example increase the range of a scram by 30/40%; equally they could also tank it right down to -40% range and triple the activation cost. As with the Triglavian ships, hoboleaks stats have been released already and of course Reddit is up in arms about it. In my opinion at least, there isn’t a huge amount of reason to speculate over these just yet until we let CCP iterate a little more on them. 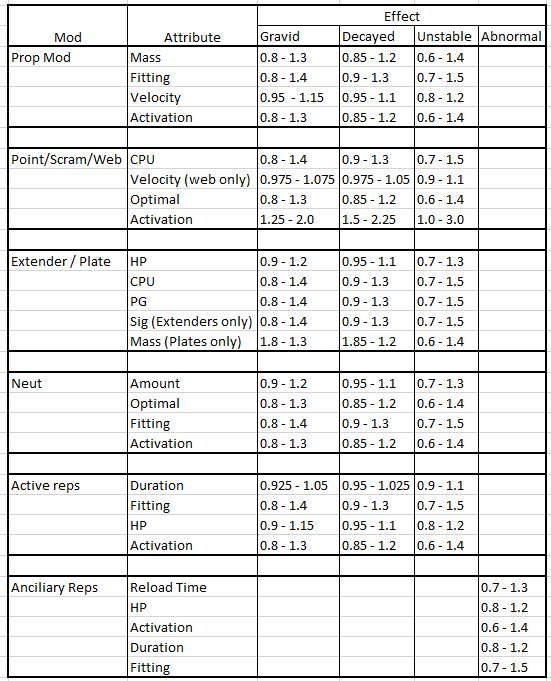 You’ll find the table of current possible effects below, but keep in mind that we don’t yet know of drop rates and if weighting will be applied to the modifiers. Unstable – Largest possible range of modifiers, could make a module great or trash it completely. When I first heard about these, my initial thought was “oh god, standard doctrines are ruined”, but thinking about it, I don’t feel that will be the case any more. The ability to reduce fitting requirements on several of your ship’s modules does definitely allow for some crazy fits. It also probably means you’re going to get pointed by a 100km range Lachesis more than you used to. What I’m hoping though is that these aren’t necessarily edge-cases, but more that they give a little power back to small gangs and solo players. There isn’t reason for nullsec power bloc A or B to bling their machs for another 3B with abyssal modules. I did also say in my 2018 wormholes article that I was looking forward to CCP potentially shaking up the meta again. Abyssal tech and Triglavian ships should hopefully do that to an extent, albeit not quite as much as regular balance passes would. This is the kind of thing that opens up the theorycrafting game more and gives certain types of players gameplay options that didn’t exist before. Think arms dealer style corps dealing in specialised modules, or abyssal farming for the solo only players (and you know they exist). Another one of the more interesting presentations was about both new and existing Upwell structures. Much of the talk, however, was about the upcoming “Outpost Day” on the 5th of June. This is going to be the day where player owned Outposts in nullsec are finally converted into Faction Fortizars. They will be preloaded with fuel, service modules and with a two day invulnerability timer until June 7th. As CCP have discussed before, these faction citadels will also be preloaded with a set of faction rigs that can never be moved without destroying them. That should hopefully introduce some meaningful decisions on what the playerbase does with their newfound stations, but we know HK are just going fill Rage with them anyway. Now those numbers (totalling 1,209) will never get any larger. Each of the faction forts that dies will reduce overall number forever, making the rest rarer and considerably more valuable. Depending on interest and actual want for people to have them they can definitely be a conflict driver for wars, if not in the future then at least in the buildup to Outpost Day. Given that the last owner of each Outpost will be the owner of a faction fort come June 5th, expect to see some violence all over New Eden with factions vying for a piece of the pie. Whether or not this is going to be good for Eve depends on how you feel about Citadels. If you ask me then this is most definitely beneficial. Having a consistent system for how player owned structures operate and what it takes to kill them only makes the game easier to understand for newcomers to the game. Now if only we could limit the number of possible citadels to prevent spam; I still think the idea from my wormholes article would work well! For reference, starbase BP to standup will occur in July alongside existing structure reimbursement. The complete phase-out will come during Winter 2018. CCP have all but confirmed player owned Forward Operating Bases (FOBs) will be a thing moving forwards. They will fill the slot of “small” structures and won’t have all the features of mediums. Think of them as a stop-gap between the mobile depot and Astrahus structures. It’s mostly speculation right now, but going off what CCP have told us they’ll be built using pirate modified tech and likely won’t feature docking or tethering. An FOB is likely to have anchoring times of a few hours and serve the purpose of being invasion beachheads or something akin to a wormhole daytripper caravan. Other than the speculative FOBs, we do know that they is a definite list of the first small structures to be released “soon”. They’ll take the format of navigation structures: Cyno Jammers, Cyno Beacons and Jump Bridges in an Upwell format. There isn’t much to say on these, just that functionality is likely to remain similar to what already exists. Now what actually is interesting is the fact that propaganda structures seem to be a thing! Hearkening back to the earlier days of eve when seeing those little noticeboards in space by gates would inject a healthy dose of immersion, propaganda boards might just bring it back. We’re looking at being able to anchor custom noticeboard/flags, customising actual stargates and customising player owned structures possibly. Some concept art has been released, but we’re still far off from any actual release so once again this is still only a dream for the future. 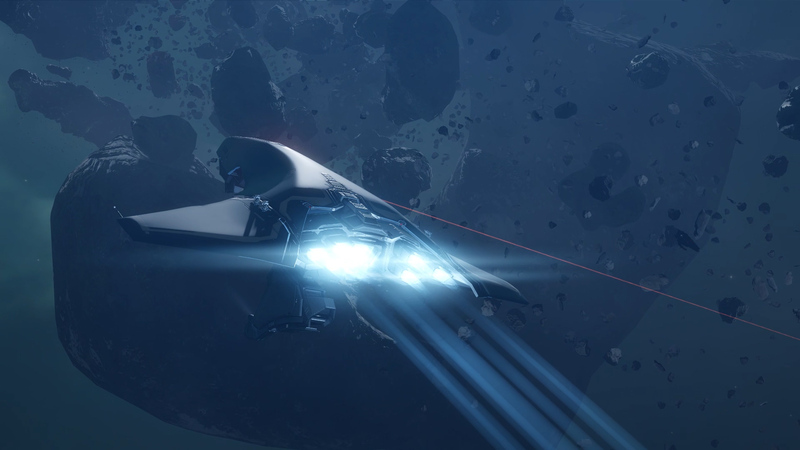 New ship for Capsuleer Day, the Praxis: This is one that we’ve known about for a while anyway. The Praxis is shaping up to be a big boy version of the Gnosis and is already available in Pyfa to play with. On Capsuleer Day, the 15th anniversary of Eve, these will be handed out to each Omega account. That date is the 6th of May and will be preceded by a Drifter even attempted to prevent the ship release. Eve: War of Ascension: I had originally planned to put together a carefully worded article on this mobile game alone. I can’t honestly say though that I’m not disappointed in how it’s panned out. At a glance there isn’t much enjoyment to be had and throwing cheesy real-life timers at it is just a primer for microtransactions. Perhaps if we see more development and interest then there is room for Eve: WoA, but unless a connection to New Eden is made, I can’t see actual Eve players picking it up. Project Nova: We somewhat expected this to be properly announced and shown off and we kind of got it. We’re still in the dark about the gameplay will pan out, but Hilmar seemed to suggest fighting on spaceship hulls and a focus on moment-to-moment gunplay being a priority. The beta signups are available at CCP’s site here. Navy Battleship Rebalance: Not much info yet again. 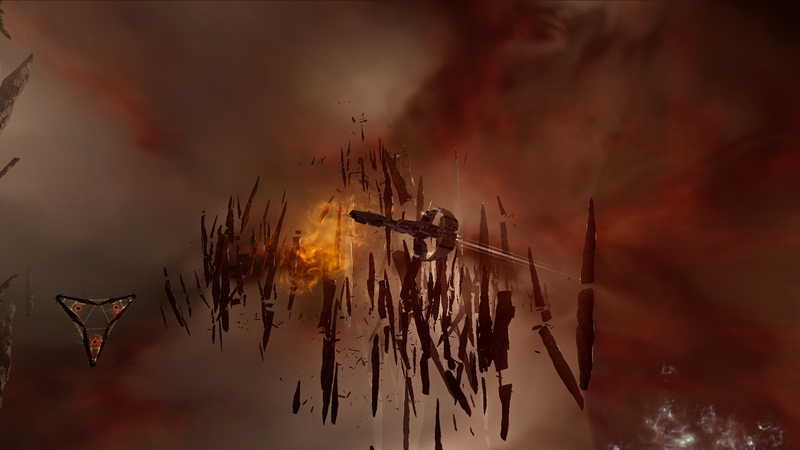 CCP suggest that they want to breathe some life back into the somewhat forgotten navy battleship hulls lying unused in market hub hangars and LP stores. 500mn HIC fix, FW Stabs & Balance Passes: The first two of these are quite self explanatory; both things that have been asked for, for a while and have been confirmed to take priority. Balance passes, however, seem to be having somewhat of a paradigm shift. The approach will be moving towards using new analytics of actual use rather than optimal use and following three major pillars or tenets: A dedication to game health; Deepening the sandbox; Pushing boundaries and having fun. New data endpoints and new killmail system: Speaking of new analytics, CCP are passing that onto us players and developers too. The new killmail system is a fantastic example of this and will be able to display everything from breakdown of which weapons did how much damage, to what SKIN you had on. This system hasn’t quite been implemented yet, but it has been switched on for some mass fights already and that data is already available to devs for, well, development. Bonus: This means logi will also finally get on killmails! New activity overview tools: There is a new tool being released which will track all of your character’s stats over time. From mining to kills, to hacking, it’s going to be somewhat of a “what should I do in Eve” style tool. Here’s hoping that it helps newbros not get so lost and help them realise that there’s more to do than just “F1 this rock all day and haul the ore”. PI QOL upgrade: Relatively minor change here, but with major impact for all you PI nerds out there. The amount of clicking has been massively reduced by letting users place multiple things down on a planet without having to go back and re-select to place things again constantly. Well that seems to be everything I could find in my notes! There were definitely a few other little bits that I haven’t mentioned here including the Phoenix redesign, Caldari Corporation Cup winners (mostly because I forgot who won), and some of the more minor presentation points. Here’s hoping that next time I need to write a somewhat time-sensitive article I can push it out quicker eh.